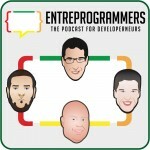 Programmers, entrepreneurs John Sonmez, Derick Bailey and Josh Earl discuss the obstacles and solutions to the balance of work and lifestyle – a constant battle that all of us face from time-to-time. Insight to dealing with this dilemma surfaces in the transparent analysis of Derick’s, sometime’s awkward approach to the art of time management. In the fast paced, highly demand-full, often stressful, schedule of events found in the typical American work weak as capitalistic philosophies demand. A marketing arena riddled with a high percentage of intentionally produced digital products embedded with continuance of planned obsolescence.